When you think of spring reverb, the sound that probably comes to mind is the “boingy” one associated with guitar amps. For mixing sources like vocals, drums and pianos, you probably wouldn't consider a spring reverb. But the AKG BX 20, which was just released in Universal Audio’s UAD v8.3 software, might just change your mind. Universal Audio released update 8.2 for the UAD Software in order to offer all users the Precision Mix Rack collection. Universal Audio released version 1.7 of its UA Software, which adds two new plug-ins, including the reproduction of the RMX16 reverb. 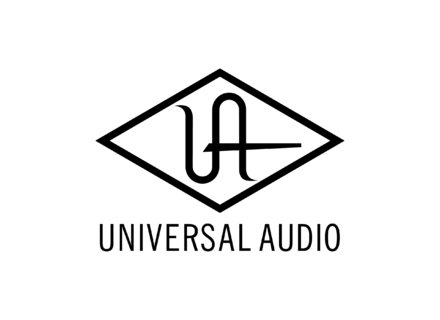 Universal Audio has released the v7.4.1 public beta of the UAD Software for Mac OS X, which adds AAX 64-bit support for all their plug-ins. Universal Audio launched a new update that brings Fairchild Tube Limiter Collection and Mag EQ4 plug-ins to the UA software. Universal Audio released the UAD Software v7.3, which includes the new API Vision Channel Strip Plug-in for UAD-2 and Apollo. Universal Audio lowers the price of its delay, reverb and modulation plug-ins for UAD and Apollo until September 30th. Universal Audio has updated its UAD Software to version 7.2, which adds ENGL amp models designed by Brainworx.